The National Institutes of Health indicates that nearly 20% of adults in the United States have some trouble hearing. Nearly 30 million adults have hearing loss severe enough to benefit from hearing aids! Although hearing assistance systems can benefit people who are hard of hearing, we all need to do what we can to protect our hearing. Following are some thoughts to consider for maintaining our hearing throughout our life. We should (re)educate ourselves to understand how our ears work. 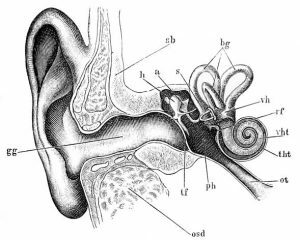 Learning about the intricate parts of our ear can give an appreciation of how sound is translated to human perception. In addition, it can help us understand how hearing is damaged. As Harry F. Olson documented years ago, some hearing loss is normal as we age due to a gradual decrease in high-frequency sensitivity. Of course, we can’t do anything about the normal effects of aging, but we can help prevent additional hearing loss due to excessively loud noise and/or music exposure. Most individuals are diligent about using hearing protection during very loud activities, such as shooting a firearm or operating a jack hammer. Hearing can also be damaged from much lower sound levels. 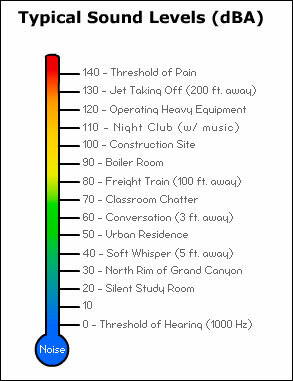 Even sounds above 85 decibels have the potential to damage hearing with prolonged exposure! As a general rule, the louder a sound, the less exposure we should have to avoid hearing loss. For example, the recommended permissible exposure to busy city traffic (at 85 dBA) is about 8 hours, but the recommended exposure for listening to loud music with headphones (at 105 dbA) is only a few minutes. That ringing in your ears after a loud concert, spin class, or sporting event is probably an indication of potential hearing loss. Even if the ringing is temporary, there could be residual long-term hearing damage. Keep a set of inexpensive foam ear plugs in your car. Use them for those unexpected events that call for hearing protection. Get your shots! Rubella and meningitis can cause hearing loss, and vaccines for both are widely available. Wear ear protection or noise-cancelling headphones while operating the lawn mower or other loud equipment. Be careful when listening to music through earphones or headphones. If the person sitting next to you can tell what song you’re listening to, it’s probably too loud! For about $20, you can purchase a set of “high fidelity” hearing protectors (online or in music stores) that will attenuate sound levels more evenly across the audio spectrum. This reduces harmful levels with minimal impact on the quality of sound. Pick up several pairs to be prepared for that next concert or event where you want to hear everything safely. Obviously, our own hearing is especially important to us at AVANT ACOUSTICS! But we should all remember to do what we can to protect our hearing every day. This post was authored by AVANT ACOUSTICS Vice President, Ed Charland.